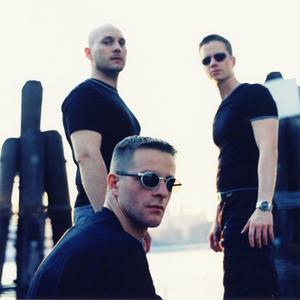 Syntec was an electronic music act from Wolfsburg, Germany formed in 1993. They were signed to the Machinery label and were one of the first bands to attempt the fusion of synthpop and old school ebm (electronic body music) but were ultimately unable to reconcile the differences in the two genres. The band was originally made up of Tobias Hartwig, who wrote lyrics and performed vocals and Uwe Kallenbach who composed & programmed the music in the studio and played syntheziers live. They were later joined by Jens Meyer to assist with keyboards during live performances. The band was originally made up of Tobias Hartwig, who wrote lyrics and performed vocals and Uwe Kallenbach who composed & programmed the music in the studio and played syntheziers live. They were later joined by Jens Meyer to assist with keyboards during live performances. Although not officially defunct, they have released no new music nor have they performed live since 2000.